Joel Pearl is the founder and visionary behind Pearl Realty. Since graduating from Gonzaga University in 2002, Pearl has successfully developed a Nationally award winning high horsepower real estate marketing engine. This truly client focused and personalized sales approach has resulted in over 1000 properties sold totaling $500,000,000+ in North Idaho real estate sales. Joel Pearl started his own brokerage because he believed his clients deserved more - more expertise, more care and more individualized focus than the large big box Franchise brokerage models can provide. Foreseeing a huge shift in the real estate industry, Pearl assembled a tight-knit team of licensed professionals that each have specialized roles within the organization, which has resulted in Pearl Realty becoming the #1 Selling Real Estate Team in North Idaho. 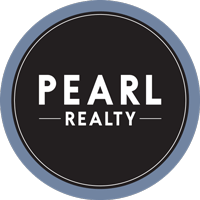 The Pearl Realty approach is that all members work together with the clients’ best interests at heart. This is not the norm in the real estate industry. Pearl attributes the team’s success to its hospitality and relationship oriented approach – treating people of all economic backgrounds with respect and care. He believes when clients are given the best tools, unbiased advice, and expert assistance they can make smart decisions when buying or selling property. Joel enjoys living in Hayden, Idaho spending quality time with his wife and four children. Outside of real estate sales, Joel loves to travel, golf, boating on Hayden Lake and Gonzaga Basketball. Go ZAGS!